Tonight I am in a bad mood. I just broke a jack on another controller. But the good news is I finally know why this has happened on three controllers. I was sure I was not trip pulling the jacks out. The Cat6 cable is reinforced and very stiff. As shown in the pic it sticks straight out. Everything was working with the doors open. Closing up for the night and the door would not close so I forced it. And the lights went out. The Cat6 would not bend and pulled the jack away from the board instead of bending the cable. I am cussing that I have to reconfigure controllers due to the daisy chain dying in one snap. Don't do what I did. No Cat6 on PC model, No door forcing. The Cat6 cable is reinforced and very stiff. As shown in the pic it sticks straight out. Yep. Cat-6 is far stiffer than Cat-5 or Cat-5e. I keep both in stock in various colors. Fortunately all the Purple I use for LOR networks is Cat-5. Not that I will likely ever buy Purple Cat-6, but I will do my best to remember this. DOH I must be tired. Cat6 BREAKS Jacks. Maybe Don will have mercy on me and fix that. 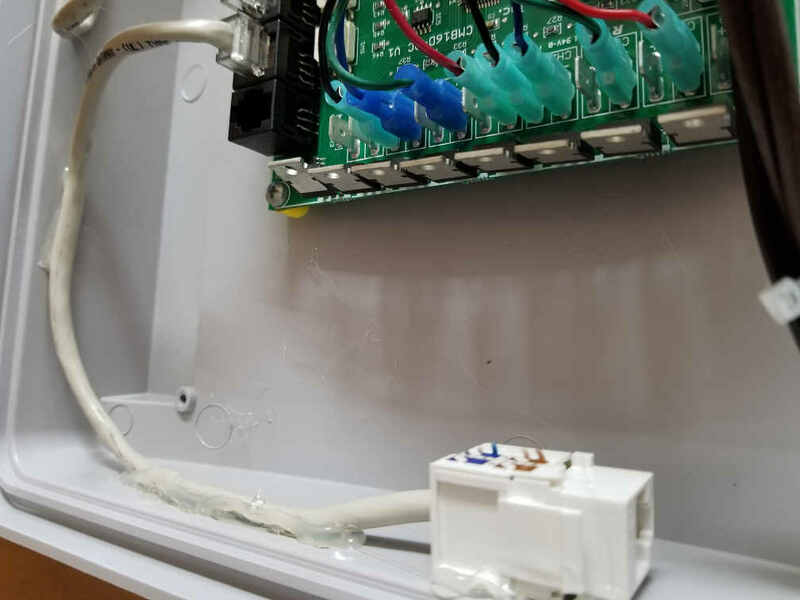 Is there any reason to use cat6 with AOL controllers, or HC DMX pixel controllers? I am simply not seeing any. I can't find it now but I am almost certain that I once read a statement in LOR docs, not to use booted cables for this reason. I also do this for all my controllers as these jacks seem to be relatively fragile and I have lost a few myself. I also have read that. However, all my cables are booted. Doesn't seem to effect the LOR controllers, but the HC DMX controllers make booted ends a bit hard to deal with. I love that idea of that extra cable in the pic. That would be great for my DMX controllers. They put the jacks in such an awkward spot on the board, and unplugging them is a PITA. What they really should do is make that jack removable. Then the jack would simply unplug, rather than pull away from the board, and cause damage. There have been so many posts this year about bad connectivity. The cable almost always gets the blame. I believe more often than not that it's the jacks which get flaky from all the strain imposed on them. What is interesting, is these jacks are positioned for use in their weakest position when the board is in a typical mounting position (Power at bottom, Jacks at the top). Rotating the jacks on the PCB layout would put the strain onto the PTH. even rotating 90deg would help. If you have not done so, a bead of Hot Glue between the jax and the PCB on the NON- lead side might help (Note: This voids warranties) secure it better. 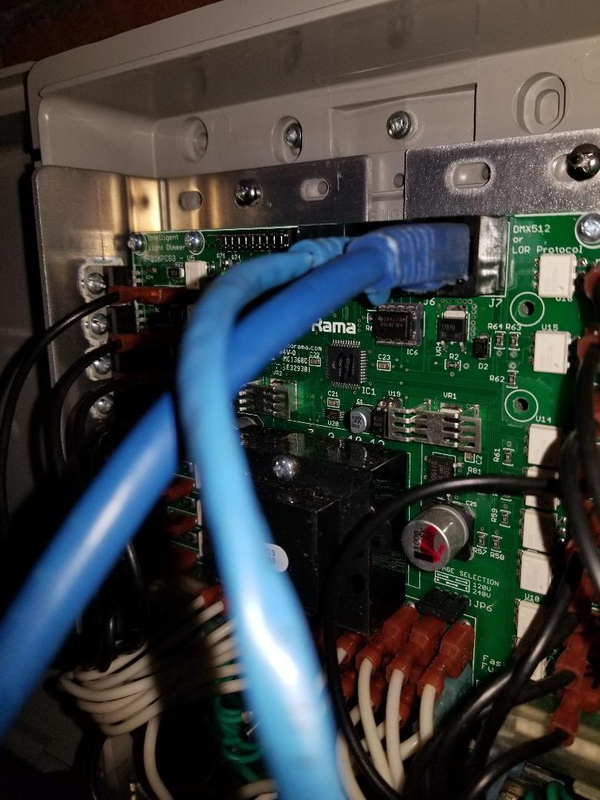 One solution is to make your own cables, and simply don't inset the jacket all the way into the RJ-45 connector - the wires will flex enough to prevent PCB strain issues. Secure the cable inside the box to prevent movement from compromising the cable itself. I use 90 degree cat6 where needed. You can buy different styles and lengths, of course. Location 1 of the top 10 snowiest cities in the US. 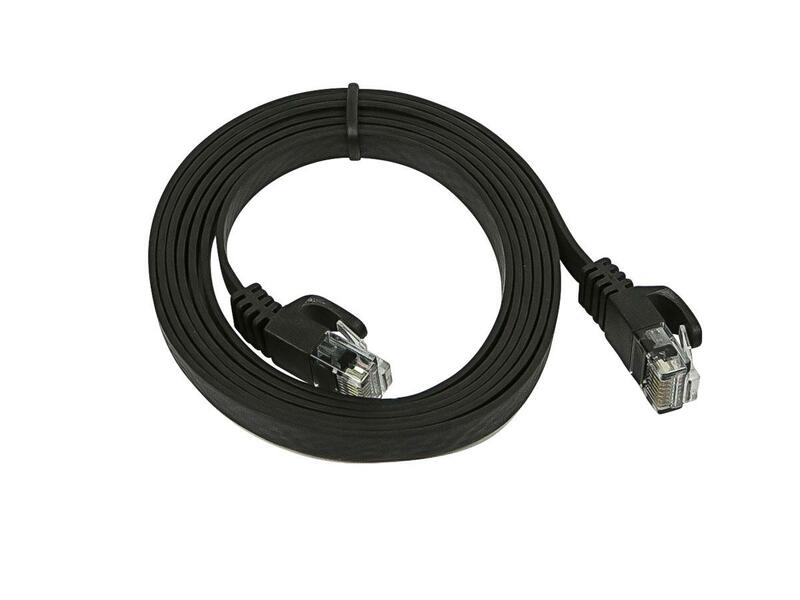 There are Cat6 flat cables available. They of course, are booted, but are more flexible than the standard cabling. I haven't broken any on my 19 controllers yet, but I love this jumper idea so much I'm going to implement after this year comes to an end. It's a pita snaking them up from the bottom. I'm also going to enlarge the whole a bit. Tx much. I use these as a short jumper cable to come out of the controller and then use a coupler to tie into the longer Cat5 runs between controllers. I use the LOR CAT5 dongles. All you need to do is drill a 1" hole in the case to mount the assembly.